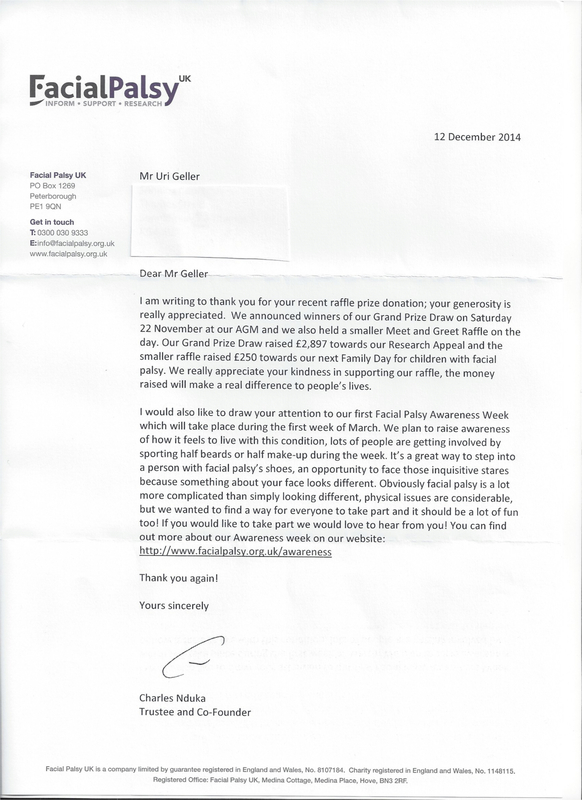 A letter from Facial Palsy UK thanking Uri for his raffle prize donation. Motivational, inspirational, empowering compelling 'infotainment' which leaves the audience amazed, mesmerized, motivated, enthusiastic, revitalised and with a much improved positive mental attitude, state of mind & self-belief. "Uri Geller gave an absolutely resonating talk on his life and career. He had every single magician in the room on the edge of their seats trying to digest as much information as they could. Uri emphasized that the path to frame is through uniqueness and charisma and that professional entertainers must be creative in their pursuits of success and never shy away from publicity." "The world needs your amazing talents. I need them"
"The man is a natural magician. He does everything with great care, meticulous misdirection and flawless instinct. 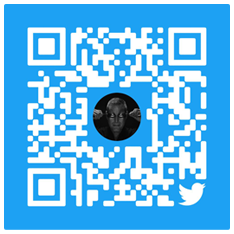 The nails are real, the keys are really borrowed, the envelopes are actually sealed, there are no stooges, there are no secret radio devices and there are no props from the magic catalogues." "The Geller Effect is one of those "para" phenomena which changed the world of phusics. What the most outstanding physicists of the last decades of this country colud grasp only as theoretical implication, Uri brought as fact into everyday life.."
"Eternity is down the hall And you sit there bending spoons In your mind, in your mind"
"I Have watched Uri Geller... I have seen that so I am a believer. It was my house key and the only way I would be able to use it is get a hammer and beat it out back flat again." "Better than watching Geller bending silver spoons, better than witnessing new born nebulae's in bloom"